I would like to see some forum CC try to defend this article... To "prove" how good Ferdinand is... Best used to attack..... MY GOD! QB sees a tiny bit of light in every tank. Edited by zlaja031, 10 February 2019 - 01:55 PM. I love how they forgot one of the best turretless TDs. Compared to all might Ferdy... Speed, DPM and usable armor. Im surprised by the fact that the legendary tiger 2 aint on list. Strange. when will the frontline begin ? Peopel say 11th but no announcement yet ! Common sense dictates that it should start either monday or friday but its near death silence. Any info on starting date anyone? guyzz I'm HAving a connection problem at the log in with th server ., it says my internet options arent right., tries to login but fails each time ? ? ? how can i get this fixed ? Yeah ... strange, isn't it. Could it be that it is utter bullcrap? In fact, as far as I'm concerned there is only one German tank that is really interesting for the mode, and that is, of course, the Skorpion. The rest is either too slow to be of much use on the large map (especially when attacking) or all around garbage. Even the black dog has lost much of its shine now that the LT-432 is in the game. Thanks for your great tips, Wargaming. They will be duly ignored. Edited by ToodlePips, 11 February 2019 - 03:37 PM. We forgot nothing! Let's not throw big inflammable objects into the article! The armour isn't all bad when up against tier 8's, at the very least, while they shoot you, they're not shooting your teammates! Generally the tips like these are more used by inexperienced players and those who have not played FL before, I'm sure your 60k battles is not the target audience. 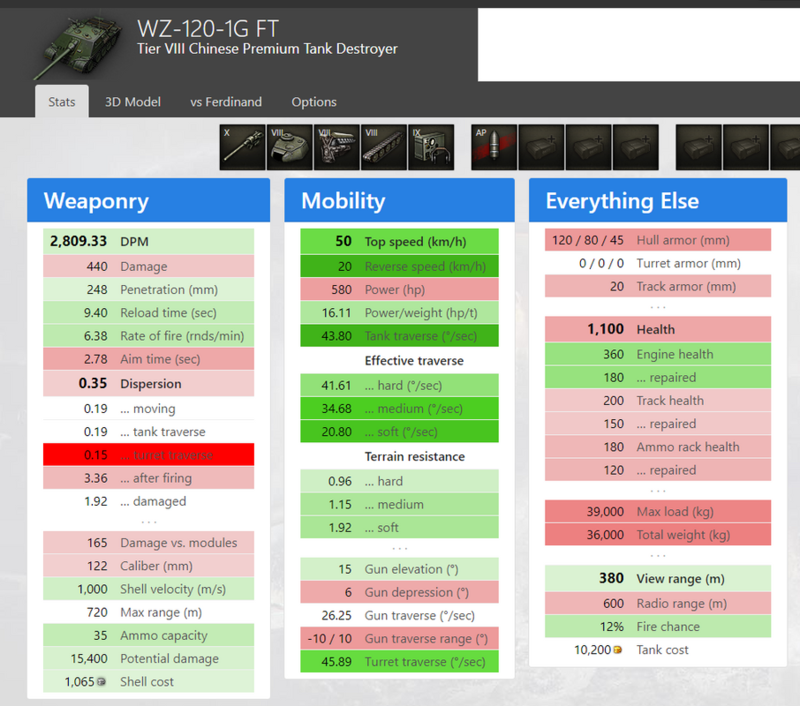 Why can’t I use the WZ-120-1G FT ?? Have you made sure the crew is fully trained on it? If not can you please send a screenshot? Last time my "pony" was lorr.40t, but now there is no doubt - spagetto rulzzz this event. *decent reload between 1st and 2nd shell and it works great to take oneshots, exelent to put someone on track, pick up some assist dmg and pick up frag.